I came into this with such high spirits and just knew it was going to be so much easier for me than everyone else. I'm the golden one, how could it be any other way? We are so fortunate with everything that we have; two cars that run fine, a monthly check for being alive albeit slightly mental, we're all healthy most of the time, I love Tlaxcala, and I got the best in-laws in the world, right? I realized the honeymoon was over and reality was finally setting in on Saturday, Mother's Day here in Mexico. A young family member had complained of the beginning of a migraine headache. As I've never suffered one before, I can only judge this by hearsay from friends. A quiet room, no lights, rest and relax, and it will eventually pass in a few hours or whatnot. It slowly progressed into a full blown medical emergency in the living room with burning herbs, the town curadora, and all kinds of crazy medicine like burying the patient in multiple blankets to sweat out the fever, and after the house had been cleansed, we weren't allowed to step outside without wearing a sprig of something green. And I bite my tongue so hard as a dark cloud is cast over our Mother's Day festivities with our guests who have traveled to spend the afternoon with us. In the back of my mind, I'm thinking that the head of the household might not have passed away from diabetes if they'd sought modern medicine instead of the good intentions. It only went downhill from there, one little thing adding on top of another forcing us to make a hard choice to leave our new home. José doesn't feel uncomfortable there either so it's going to be a rough summer as he tries to stay on the move visiting his sons and family in different areas. Now I'm getting ready to board the plane to escape back to my beautiful Oregon while abandoning my husband in the process. I can't be two places at once but I can't handle being here for a few more months. The plan has always been to make our way south to live outside the lovely town of Antigua, Guatemala in September. Things have slightly shifted in the last month because we are seeing I-601 approvals for people who have filed in January, February, March, and April. Our official receipt date is March 17 so it's possible that we might hear something any day. Now our plan has been adjusted to account for this new development. I had originally planned on waiting 6-8 months for our approval or denial but USCIS appears to be issuing decisions between 4-5 months now. We have decided that if José is approved for the visa while the girls and I are still home in Bend, we will stay there, let our housesitters know that we are returning earlier than expected (ooops, so sorry but get the hell out), and start preparing to reintegrate into our American routines. Mia will start the first grade at their old school but since the 6th grade is the start of middle school of Oregon, Erika will be continuing her homeschool education in the house with me. I will try to find a part time job so I can help save up money and pay off any debt that we have remaining after I file bankruptcy next month. A visa means that I can finally put money into my home without feeling like it would be a waste. A denial means that we will be finding a third country to make our home in. We can always file a new waiver and spend another $585 but I'm not ready to do that again. We will make our way towards the Tijuana area and set up shop there until the end of the year. As long as I have a California residency, I will hopefully be able to continue claiming my unemployment benefits and support us as well as put away some money into savings. I have family in the San Diego area and lots of other exiled spouses in Tijuana for a support group. After the first of the year, we can pick up our original plans and move south to Guatemala. Visa or not, I'm planning on taking the family to Spain next fall so I can teach as a part of Spain's Auxiliares en Conversación program and get my Master's and certifications to teach both English and Spanish. If things don't work out for us in the US, maybe we'll just stay there and get our Spanish citizenships. Thank you for sharing your story Krystal! Its so hard sometimes huh Krystal. Me and Miguel are up in the air now too and Im here for awhile in Atlanta. I feel for you and Jose in this,but I know yáll will make it.Dont give up and know that you arent alone. I know you arent a believer,but I will be praying for your family as I pray for ours. Keep writing please,you are a strength to me. I had a question. If you guys go to Spain for an extended time for your education program. Will that affect your husband's visa? Isn't there some kind of thing about how much time you spend outside of the US since the visa is supposed to be for permanent residency? I'm not attacking your plans I was wondering because we too are in the process and was wondering about that. That's a really great question Cat and a very valid one because the last thing we want to do is lose his permanent resident status after he's just gotten in. 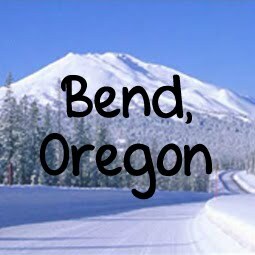 He is allowed to travel abroad providing that we maintain Oregon as our permanent residence, file our taxes, etc. Here is a link to the USCIS website that provides info on how to do it correctly so we don't jeopardize his new status. We will also be working towards his citizenship and the three year window starts over each time you spend an extended time out of the country so we want to do this travel now so I can finish my Master's right away, otherwise, we'll need to wait until after he has his citizenship and I will have lost my education benefits by that time. So it's now or never!! I am so very happy for you guys. Get your budgets in mind, choose from the variety each destination has to offer and spend the most awaited honeymoon of your life lavishly with us.